Crimson Romance, the house that published my book Fated Souls, is celebrating its one year anniversary all summer long. My entire life I'd dreamed of being a published author and Crimson gave me the chance to realize that dream. I'm inviting you to join them and me in celebrating all the dreams they have helped come true and every happily ever after they've published. 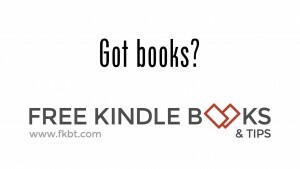 Win a Kindle Fire pre-loaded with every one of their first year of titles. That’s over 200 books (including my release Fated Souls)! Click this picture for details on how to enter. The entire month of July all of Crimson’s titles, except the Kindle Daily Deals, will be on sale for $1.99! You can stock up on all your favorite authors like: Winter Austin, Katie Kenyhercz, Nancy C. Weeks, Tara Smith, Peggy Bird, and more [like me]! 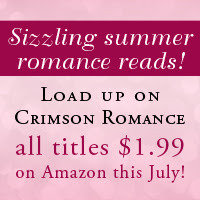 You can click here Crimson July Sale for more information or just cruise on over to Amazon. There you can search by author or do an advanced search by publisher: Crimson Romance to see a selection of all available titles (both on sale and not). The sale starts, July 1st. The celebrating doesn't stop there but I’m sworn to secrecy for now. I’ll update this post as I’m allowed. You can find links to twenty-three of Crimson Romance's authors websites and excerpts of some of the books that will be preloaded on the Kindle Fire and will be on sale throughout July on the Blog Hop tab. Enjoy Crimson’s birthday and all the romance that comes with it. So excited to be part of this history making first year with Crimson Publishing!